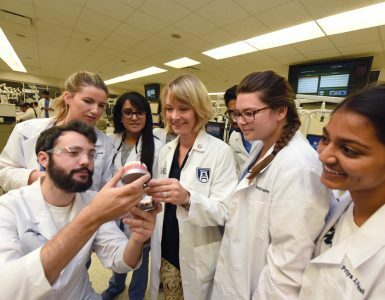 Dr. Gregory Goggans (’84) has been appointed to the Georgia Board of Dentistry by Gov. Nathan Deal. 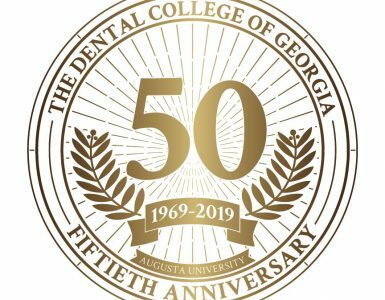 Goggans is an orthodontist and part owner of Fender-Goggans Orthodontics in Douglas, Ga.
Dr. Renee B. Parrish (’91) works for the Florida Department of Health in Gulf County Dental in Wewahitchka, Fla.
Dr. Rico Short (’99) of Apex Endodontics in Smyrna, Ga., is among GRU’s inaugural Jag 20, a group of emerging alumni leaders under age 40 selected by the university. Honorees are selected for significantly advancing their career, community, and alma mater. Dr. Christopher Hasty (’03) of Tifton Regional Dental Group in Tifton, Ga., is among GRU’s inaugural Jag 20, a group of emerging alumni leaders under age 40 selected by the university. Honorees are selected for significantly advancing their career, community, and alma mater. Dr. Rhoda Sword (’03), President of the College of Dental Medicine Alumni Association, on behalf of the Alumni Association presented a portrait of Drisko to the dental school and gave a smaller version to her family. 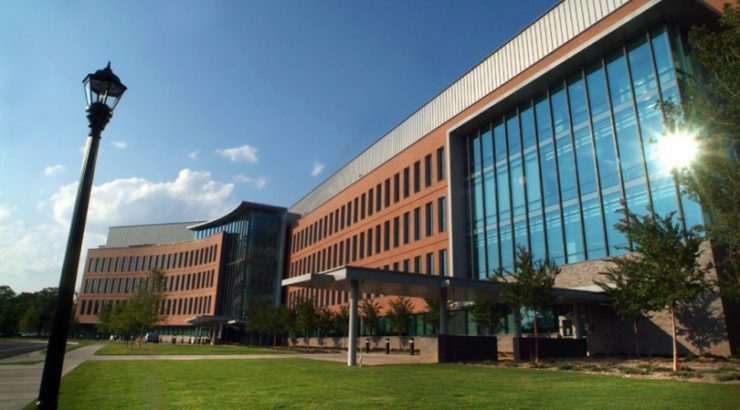 Dr. Gary Seeba (’09) will finish his oral and maxillofacial surgery residency at LSU New Orleans in June 2015. He plans to enter a group private practice. Dr. William Bennett (MD, ’05 and DMD, ’10) of Foundations Orthodontics in Rome, Ga., is among GRU’s inaugural Jag 20, a group of emerging alumni leaders under age 40 selected by the university. Honorees are selected for significantly advancing their career, community, and alma mater. 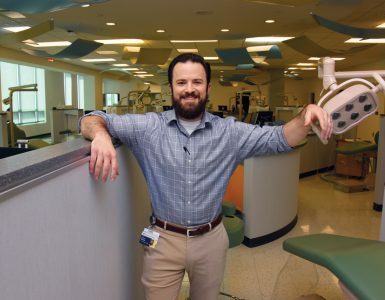 Dr. Adam Goldberg (’10) of Goldberg Dental Group in Augusta is among GRU’s inaugural Jag 20, a group of emerging alumni leaders under age 40 selected by the university. Honorees are selected for significantly advancing their career, community, and alma mater. Prosthodontics in Fredericksburg, Va. He serves on various committees of St. Mary’s Catholic Church in Fredericksburg and was a Eucharist minister for 18 years. He volunteers for the Moss Free Clinic and cofounded the Rappahannock Valley Dental Society.